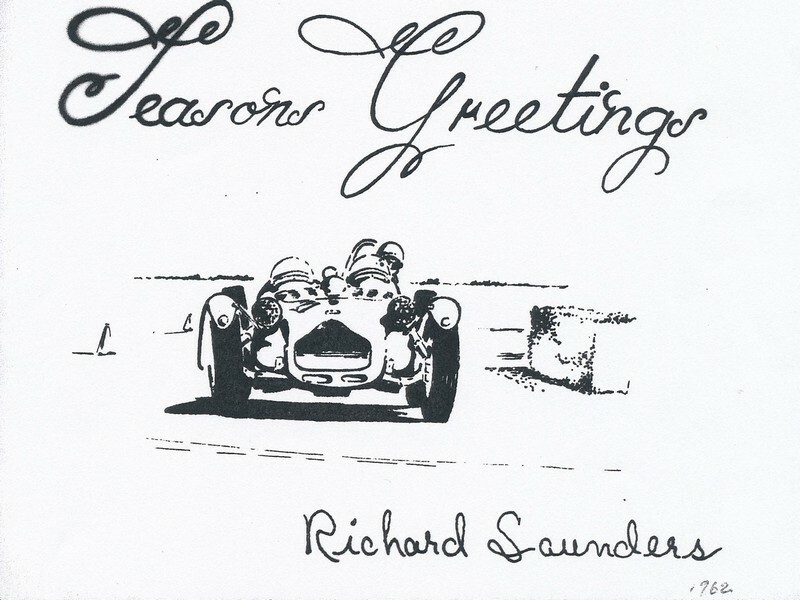 From the archives...a few old Christmas card sketches from Richard Saunders to get you in the Christmas spirit! Click here or the image above to download the latest issue of the Allard Register. We hope you enjoy it! 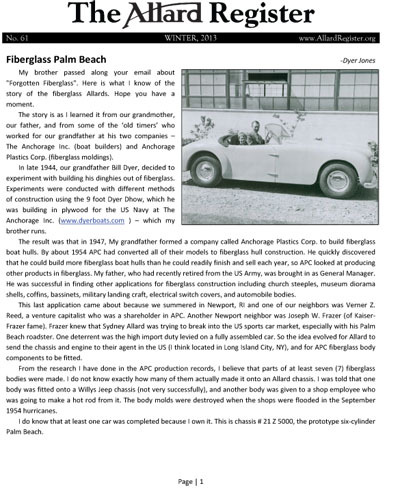 Click here or the photo above to download issue #61 of the Allard Register. We hope you enjoy it! We are pleased to present you with issue #60 of the Allard Register. Please click here or the photo above to download the pdf version of our newsletter. 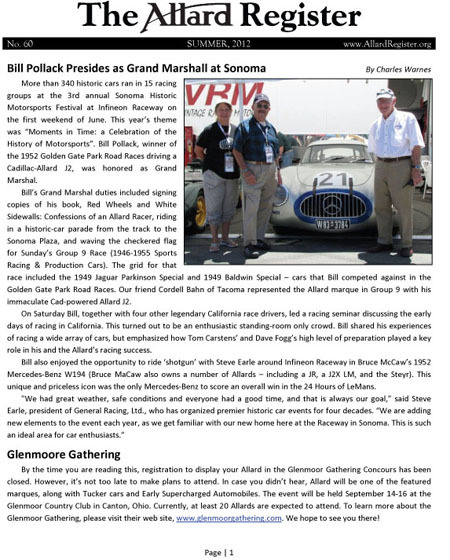 Inside you will find a recap of the Sonoma Vintage Races, rebuilding a Cadillac 331, Bill Pollack imagines the Allard of the future, two K3's go on a play date, and the latest Allard news. We hope you enjoy! If you're a sports car racing history buff, then you should check out www.sportscarscan.com. The team at Sports Car Scan has accomplished the monumental task of scanning the magazine “Sports Car” (SCCA publication). The magazines have been scanned in a high resolution (300 dpi), color PDF format that is completely searchable. 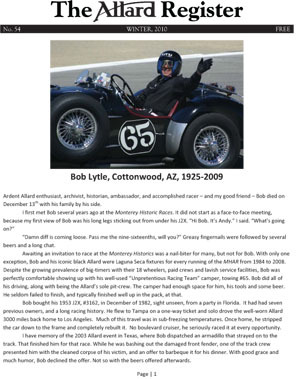 Every issue has been scanned from 1944 through 1970 – the “Golden Age of Auto Racing”. Issues include national/local race reports, entry lists, race schedules, photos, ads and feature articles Everything is copied to a USB flashdrive (PC and Apple compatible) and organized by year and month. There is an exclusive licensing and distribution agreement in place with the Sports Car Club of America so there are no copyright violations. The complete set is available for $375. Here are just a few of the Allard related scans. 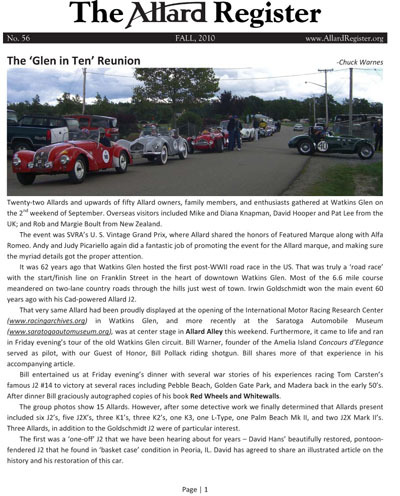 Click here or the image above to read the latest issue of the Allard Register...enjoy! Special thanks to Automobile Quarterly (www.autoquarterly.com for allowing us to use this amazing cutaway drawing of an Allard J2X by the amazing artist Yoshihiro Inomoto. Click here to open the hi-res version. We are pleased to share with you a complete (as far as we know it) set of the Allard Brochures. It took a while, but we've scanned & retouched all of the brochures in our archives. High resolution versions are available upon request. If you have any brochures that are not shown, we would like to get scans of them so we can post them here (Click here if you can help). You will need Adobe Acrobat to view these files. Click here to view the brochures! 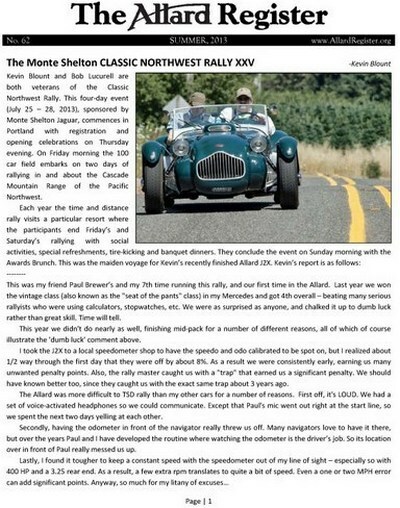 Click here or the image above to dowload issue #56 of the Allard Register. We hope you enjoy! 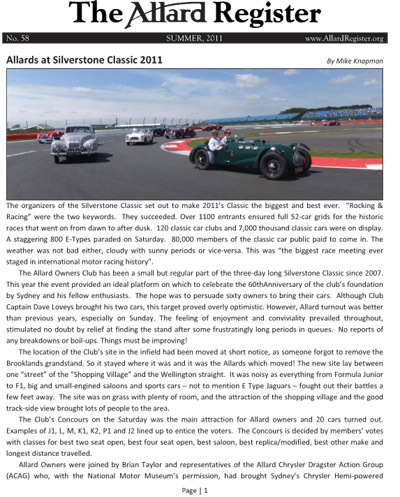 Click here or the image above to download issue #55 of the Allard Register, we hope you enjoy! Here's an interesting web site that you need to check out, www.car-brochures.eu. 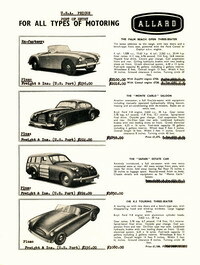 It's packed with scans of car Brittish car brochures and advertisements from the past. Sadly, there are no Allard brochures (yet), but there are over 80 Allard advertisements ranging from 1946 to 1957. The adverts are very interesting to look at, especially when compared to todays ads. Special thanks to Hermann Egges for creating such an interesting web site (and thanks to Kerry Horan for the telling us about it!). Click here or the picture above to download issue #54 of the Allard Register, we hope you enjoy! Unknown to most current Allard owners, the Allard Motor Company published 3 "Year Books" for the years 1951-52, 1952-53, and 1954. We are pleased to share with you copies of the first two year books*. Original copies of these year books are extremely rare and we'd like to thank Dean Butler for sharing these with us.